The Mets, coming off a miserable 2009 season, still aren't sure if Jason Bay will be joining them. So it had to be heartening at some level to hear a new player, Ryota Igarashi, talk enthusiastically about playing for them. And on another front, the Mets found themselves denying interest in a player, old friend Pedro Martinez, rather than the other way around. The team made no substantial progress in its pursuit of leftfielder Bay and catcher Bengie Molina, the free agents who received offers from the Mets on Dec. 10. Bay still wants a five-year deal; the Mets believe that no other team has approached its four-year offer for about $65 million. Molina wants a three-year deal, but the Mets want to limit it to two. If either player has a suitor anywhere in the neighborhood of those two offers, those clubs are doing a fine job of staying off the radar. Meanwhile, the Mets formally introduced new reliever Igarashi, who spoke of how the team has established a reputation as friendly to Japanese players. Though the Mets haven't enjoyed a great deal of success with Japanese talent - their biggest signing, Kazuo Matsui was a bust - they have tried repeatedly. Igarashi said he has no expectation of which inning he typically will pitch for the Mets. He added: "Obviously, as a competitor, I've been looking for a team to play for in the World Series. The Mets have been highly competitive." 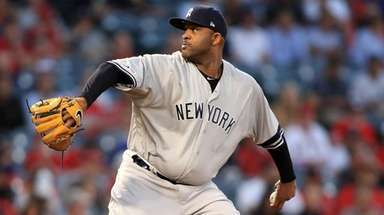 As for Martinez, 38, ESPN reported that the Mets expressed an interest in reuniting with the righthander, who pitched (sporadically) for the Mets from 2005 through 2008. Through a spokesman, the Mets denied the report. 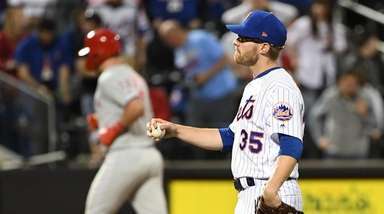 Given their myriad injury problems in 2009, the Mets are looking for starting pitchers who provide more certainty than Martinez, who pitched well for the Phillies in 2009 after signing with them at the All-Star break. One such reliable pitcher, Staten Island product Jason Marquis, came off the board yesterday, signing a two-year, $15-million deal with the Nationals. The Mets still see other free agents such as Doug Davis, Jon Garland and, with less reliability but higher upside, Joel Piñeiro. The Mets also will consider an upgrade at first base, and they'll watch the rehabilitating Carlos Delgado if he plays winter ball. 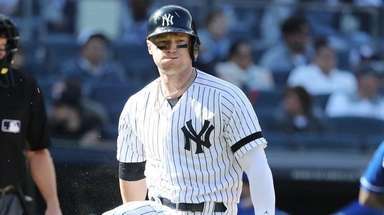 They also could stick with Daniel Murphy, who recorded a disappointing first full season in the major leagues.